OUR WEBSITE, GIFTBASKETSROMANIA.COM WILL BE REFFERED FROM NOW ON AS "SITE"
BY USING THIS SITE, BROWSING THE PRODUCTS, PLACING ORDERS OR INVOLVING IN ANY ACTION WITH THE SITE, YOU AGREE IN FULL TO THIS TERMS AND CONDITIONS. ALL THE INFORMATION PRESENTED ON THE SITE, INCLUDING PRODUCT PICTURES AND DECRIPTIONS, SCRIPTS AND PROGRAMS, VIDEOS AND SOUNDS ARE COPYRIGHTED AND PROTECTED UNDER THE COPYRIGHT AND INTELLECTUAL PROPERTY LAWS. YOU MAY USE THIS CONTENT, SAVE IT ON YOUR COMPUTER, BOOKMARK IT OR EMAIL IT ONLY FOR THE PURPOSE OF SHOPPING FROM THE SITE. YOU AGREE THAT USE OF THE SITE IS AT YOUR SOLE RISK AND NEITHER THE COMPANY, NOR ITS AFFILIATES, OR EMPLOYEES, THIRD-PARTY SERVICE OR CONTENT PROVIDERS GUARANTEE THAT THE SERVICE PROVIDED IS ERROR-FREE WE RESERVE THE RIGHT TO REFUSE DELIVERY FOR ANY ORDER, IN THIS CASE WE WILL REFUND THE AMOUNT PAID. WE WILL TRY TO AMIABLE RESOLVE ANY DISPUTE. IF THIS IS NOT POSSIBLE ALL DISPUTES SHALL BE RESOLVED ACCORDING TO ROMANIAN LAWS AND BY ROMANIAN COURTS. 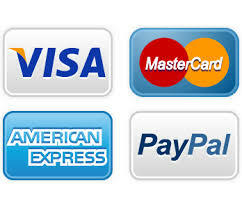 BY PLACING AN ORDER ON THE SITE YOU AGREE IN FULL WITH THIS TERMS AND CONDITIONS. IF ANY OF THIS TERMS SHALL BE FOUND INVALID, THIS WILL NOT AFFECT THE VALIDITY OF THE REST.